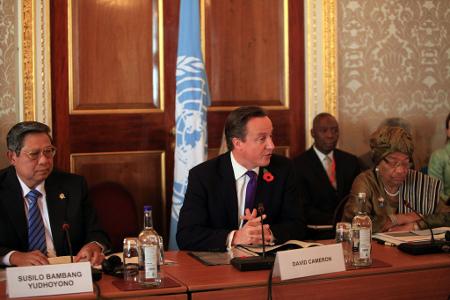 The negotiations on the next post-2015 international development framework will not be easy. This time around there is a lot of interest and many different voices need to be heard. An inclusive process that promotes ownership are seen as key to success. A major challenge is therefore to get as much preparatory work done as possible before the negotiations start in earnest. Over the year ahead the debate will continue to gain pace. Given the success of the Millennium Development Goals in mobilizing international efforts on development, there is consensus that the momentum must be maintained with a new and improved agenda with a limited number goals. On the one hand this means final efforts to make progress on the existing goals will intensify and on the other, policy makers in Europe, in Africa and elsewhere, will be seeking to pin down proposals and lay the groundwork. The formal intergovernmental negotiations on the new framework are due to start at the UN General Assembly in September 2014 and a year later, it is hoped the new package can be agreed. The most problematic issue to resolve is the question of content. The UN GA Special Event on 25 September, agreed that the MDG and the Sustainable Development Goals (SDGs) agendas, that is the poverty focus of the past decade and the sustainable development of the Rio process, need to be merged into one concise and appealing list. Practical ways to do this need to be found. The UN Open Working Group on Sustainable Development Goals mandated by the Rio+20 conference, is the formal setting for this. However, the puzzle of how to combine these two agendas is far from simple and its solution has eluded the international community since the original Rio Conference, 20 years ago. African and European governments will each have their favourite issues and varying views on how much emphasis to give to different points. So bright ideas and compromises will be needed from all sides. 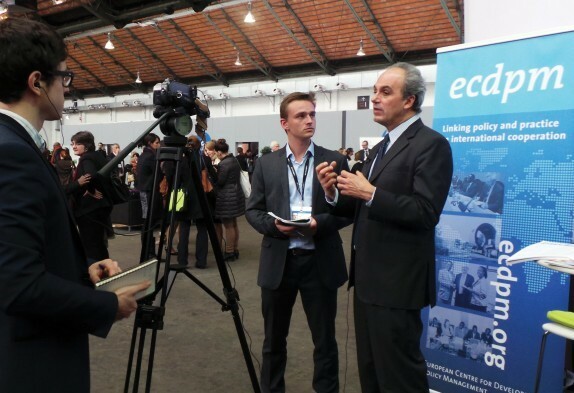 Second, there is the question of resourcing the post-2015 agenda. Many states are dissatisfied with the results of the efforts on financing for development under the global partnership of MDG 8 and want to see improvements this time round. In addition climate change and environmental issues coming in to the framework with the SDGs push the costs up dramatically. The international financial crisis has made many countries and not just OECD states very aware of the need to keep budgets under control. Extra resources for global challenges are therefore in short supply and a lot of ingenuity will be needed to identify more funds. The UN again provides a formal setting for these discussions with its newly established Committee of Experts on the Financing of Development. While the Outcome document of the Special Event on 25 September 2013, demonstrated that there is considerable agreement on the overall objectives it also indicated differences on how to get there. The principle of common but differentiated responsibility from Rio found its way into the document and yet it has been a source of constant discussion for many years. Can it be handled sensitively enough so as not to block the negotiations from reaching a final agreement? The principle of universality has also been included but what it means in practice for each country is far from clear. These two formal processes are due to report in mid-2014 so their ideas can be considered at the September UNGA. However, already from about March as the reports are drafted the divergences between different groups of states are likely to emerge and will need to be dealt with by EU and other negotiators. 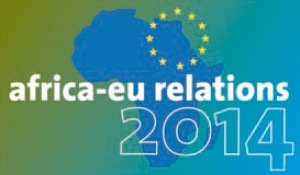 But to back up these two formal processes that already involve considerable work for the EU, its Member States and for development partners in Africa and elsewhere, there is a need for a lot of behind the scenes diplomatic effort to bring positions together before the start of the negotiations. This is not just for headquarters but should involve embassies and delegations in extensive discussions with partner governments. Unless this groundwork is done the headline issues cited above will never be resolved. Getting started on this dialogue is probably the most urgent challenge for 2014. As with many UN negotiations a major part will be played by groups of states coming together to push their common positions. Regional organisations like the EU or the African Union, just as more informal groupings such as the G77, will thus be seeking to develop their positions. This also takes time and requires discipline and flexibility. Conducting such internal discussions against the backdrop of the constantly moving international debate is a major challenge. Finally, behind all this, there is a question of how far the EU is really prepared to go. 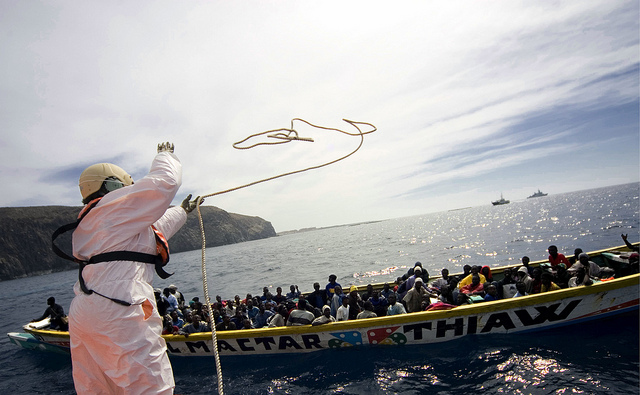 Europe, as citizens, member states and EU institutions, needs to consider whether it is ready to tackle the challenges posed by this ambitious post-2015 development agenda in the making. The emerging agenda is far more political than it was for the original MDGs. To achieve globally sustainable development will the EU and its citizens really be willing to reduce consumption levels? Would the EU as a group of states even be able to deliver on such a potential commitment? In relation to the last two questions: reducing consumption levels is just one among the many challenges that the EU as a whole is facing when it comes to setting up a sustainable development model in accordance with the outcome document of the Rio+20 Conference "The Future We Want". While it is clear that there is a long way ahead of us and that difficult decisions will have to be taken and concrete measures will have to be implemented, it would be unfair not to acknowledge the efforts that the EU has made so far both at domestic and international level with a view to become a more sustainable, efficient and competitive economy inter alia by changing its consumption and production patterns. As an example of this it is worth mentioning the 10-Year Framework of Programmes on Sustainable Consumption and Production, which would not exist as such today and would not have been adopted by the Rio+20 Conference without the efforts and contribution by the EU and its Member States. 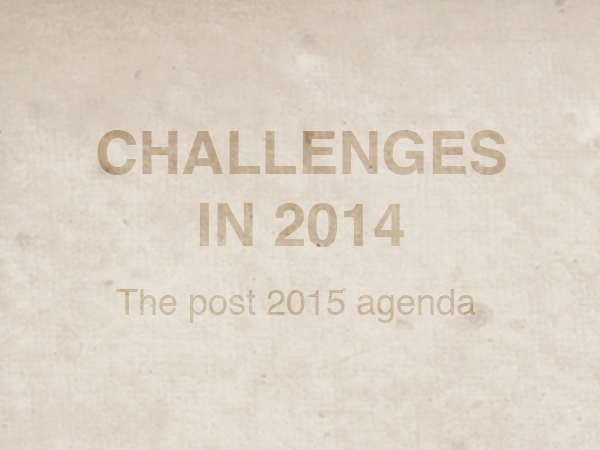 Challenges in 2014: the Post-2015 agenda | Post2015.org - what comes after the MDGs?